Aerobie was founded by the inventor Alan Adler in 1984 when he had created the Aerobie flying ring. 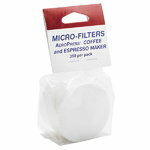 The company, first known as Superflight, Inc., also manufactures various sports toys and AeroPress coffee maker. Adler changed the name to Aerobie in 2005 as it was better known due to the success story of their flying ring. 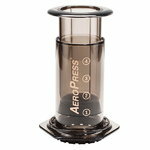 In the same year the company introduced the simple but ingenious AeroPress coffee maker, which was an instant hit among coffee aficionados around the world.